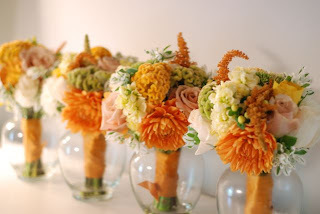 I love to play with color and this fall wedding was especially fun. Sara’s color palette was so beautiful–almost a butterscotch orange color and we were lucky enough to find the perfect shade of dahlia to work into her bridesmaids’ bouquets. 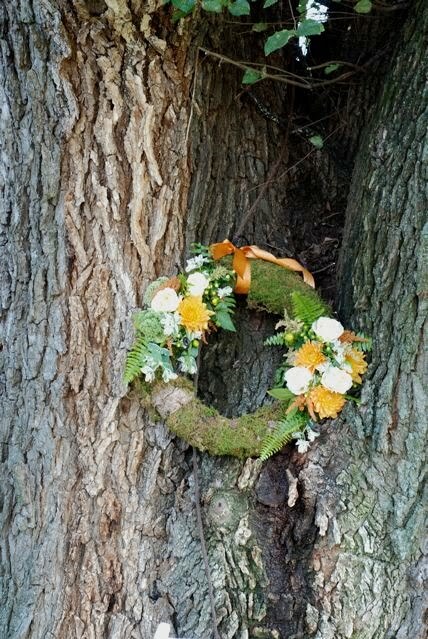 Check out the beautiful wreath that hung in the nook of the tree under which the bride and groom recited their vows–so sweet!